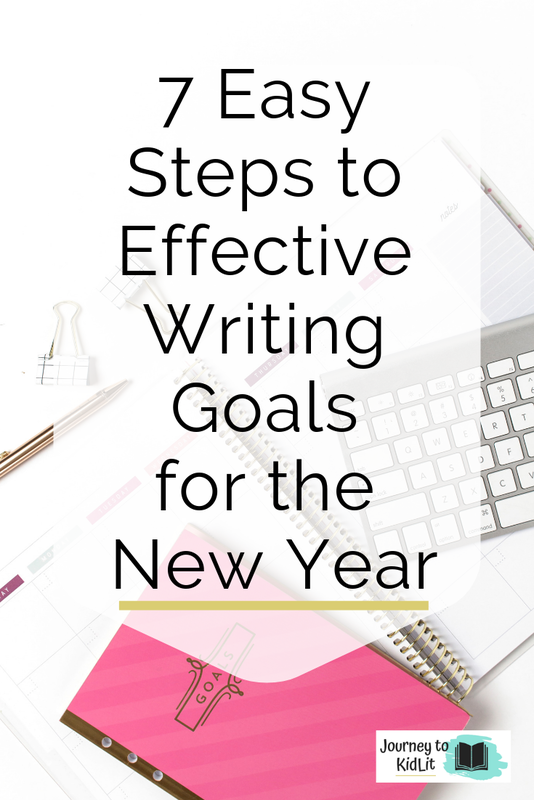 Do you want to make effective writing goals in the new year? This is the time of year when everyone gets excited and empowered to make new changes in their life. Which includes our writing! I’ve been studying goal setting a TON for the past couple of years and this year was the first year that I truly managed to stick to my goals for the whole time. I actually got up every day at least by 5AM and went to the gym. And I finished multiple manuscripts and actually sent them out. And this year will be filled with all sorts of new goals! 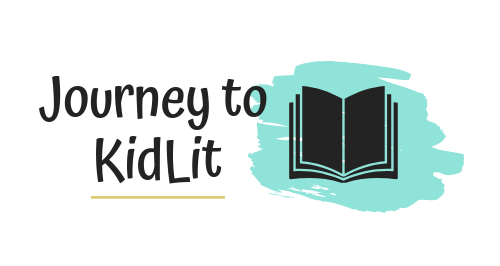 I recently worked through this process with my writer’s group, where we were able to lay out our writing goals and how we plan to accomplish them. And you can create your own effective writing goals, too! Before we jump into a new year, we need to look back and think about everything that we accomplished this year. 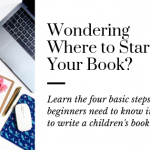 Did you write a new book? Did you brainstorm any new ideas? Did you join a new group? It’s tempting to think we didn’t accomplish anything if we haven’t found an agent or received an offer for publication yet. But that’s not true. No matter where you’re at in your journey to writing kids books, there is something you’ve accomplished. We’ve heard this quote a thousand times, but most of us ignore it. Instead, we prefer to list manageable goals that we know we can accomplish. But it’s not about whether or not your fail, it’s about whether you have the guts to try! Set a timer for 5 minutes and think of the biggest, most outlandish dreams you can imagine. Don’t filter yourself or second guess things. Simply write your goals down until the timer goes off. Now, we’re onto something in creating effective writing goals. For instance, I have a goal to turn my chapter book series into a Netflix original TV special, like Ever After High. So a smaller goal would be to send out the chapter book to agents (which I did 2 months ago). Or even to start writing or outlining the series! By taking your outlandish goals and cutting them up into more manageable bites, they’re more likely to remain effective writing goals throughout the year. Plus, you have something BIG you’re working towards! Now that you have more manageable bites for your goals, you need to decide what you’re going to do about them. No matter how small or easy it seems, it’s not an effective writing goal without a plan. No matter what your goal, there’s something you can do that’s going to move you forward. You only need to look for it. One of the biggest reasons we don’t achieve our writing goals is lack of time. Or being “too busy” to sit down to write. 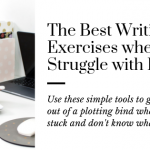 Or even feeling unmotivated when you actually DO try to write. That’s because we’re not treating our writing as a priority. Everyone has different obligations each week– from cooking dinner, to evening chores, to helping kids with homework, or running kids to activities– Life is busy. But we need to make time for the things in our lives that matter to us. In your planner, block out at least one hour a week to work on your writing. Preferably at a time when you will be productive (Experiment with different times, if you’re not sure which is best for you). Unless you commit to your writing, you will not be able to set effective writing goals. Since we listed our goals in our writer’s group, we agreed to keep ourselves accountable throughout the year. This way, we have others around us that will let us know when we’re losing focus and remind us what we hope to accomplish. The same should be true for you. Share your goals with 2 or 3 trusted writing friends that will hold you accountable– They don’t have to be writing friends, but they DO need to be able to call you out when you want to give up! I don’t know about you, but I used to have the habit of writing goals and storing them away in the drawer. I wouldn’t look at them unless I happened to stumble on them randomly throughout the year. It’s no surprise that most of my goals fell by the wayside and we’re never accomplished. Believe in what you want so much, that it has no choice but to materialize. The most effective writing goals are the ones you see to daily. Meaning you should find a way to look at them every day. For instance, I have sticky notes all over my computer monitor, plus I have planners for my goals. Some are monthly goals, others are weekly or daily. But they’re all in front of me. One of the easiest ways I’ve discovered to keep your goals close is to build a vision board on your phone! I listed all my goals using the Note app, plus I built an actual vision board in Google Drive that I can look at wherever. You can even do this while you’re in the pick-up lane at school! If you want to create effective writing goals, you have to treat them seriously. Don’t be afraid to dream big, but break them into more manageable bites and determine your plan of action. Then find an accountability partner and keep your goals in a spot where you’ll see them. Go Create Your Effective Writing Goals Today! Great post. It is a great idea to look at past accomplishments because I think we sometimes get stuck on what we haven’t been able to finish. Being able to see what we actually were able to accomplish can offer encouragement for future goals instead of keeping us trapped in self doubt. Also, I completely agree that we should set our goals high yet break them into smaller, easily obtainable chunks. My writing group also sets a goal at the end of each of our meetings. I tend to be a little shy when setting my goal there, but it is still gives me the incentive to come up with writing goals for myself. I find that I come home each time after one of our monthly meetings and create a list of quite a few writing goals I hope to accomplish before the next meeting. Some of them are mandatory goals (such as my post as a monthly contributor to a website), whereas others are not mandatory (such as writing a set number of posts for my website, revising a manuscript I am currently working on, submitting a specific manuscript, doing research on a current writing project, etc.). I keep this list posted on my wall visible for me to see, and I cross items off as I complete them. It’s so nice to be able to see that I am actually accomplishing something! I love that you said you have sticky notes all over your computer. I also use sticky notes- the ones on the right side of my wall are projects I would like to work on, the ones in the middle are ones that I am satisifed with for now (to have critiqued or revise again after I have set them aside for a while), and the ones on the right are ones that I have submitted. I also give myself a daily to-do list, which I write on a dry erase board. As you can probably tell, I love lists, but they seem to keep me motivated and moving forward. I like that you said to schedule your writing time; however, I try to write (or work on something pertaining to my writing goals) when I can. I homeschool my daughters, so I often work on something for a few minutes at a time when they are able to work on their school work by themselves. All the little chunks of time can add up! I hope you do well with all of your writing goals! 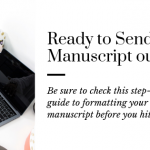 May 2019 be a great year for your writing!